Search for Spanish or English. Search for Spanish verbs in their fully conjugated state. 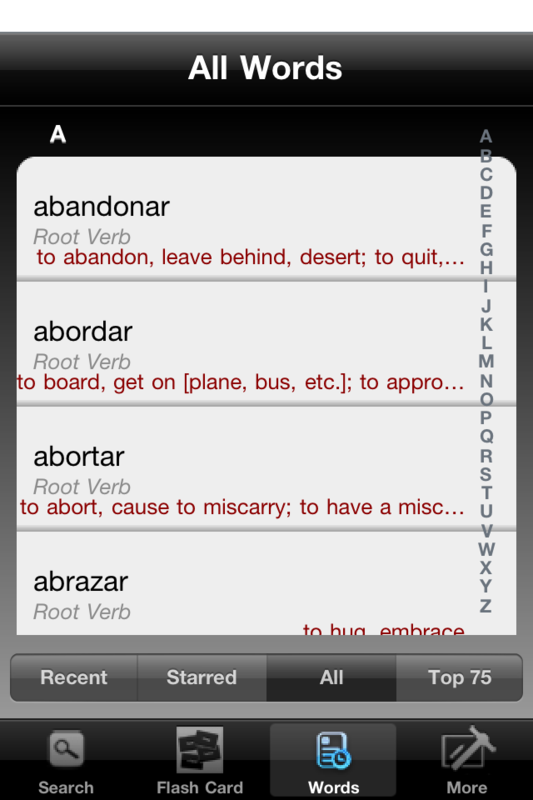 ConjuVerb shows you all words in the database, the most recent, and your favorites. 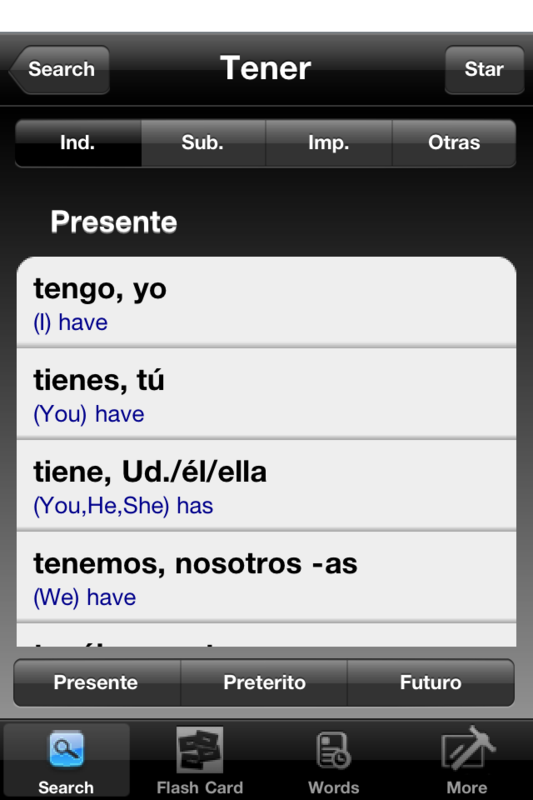 Master your Spanish verbs using the Flash Card Mode. 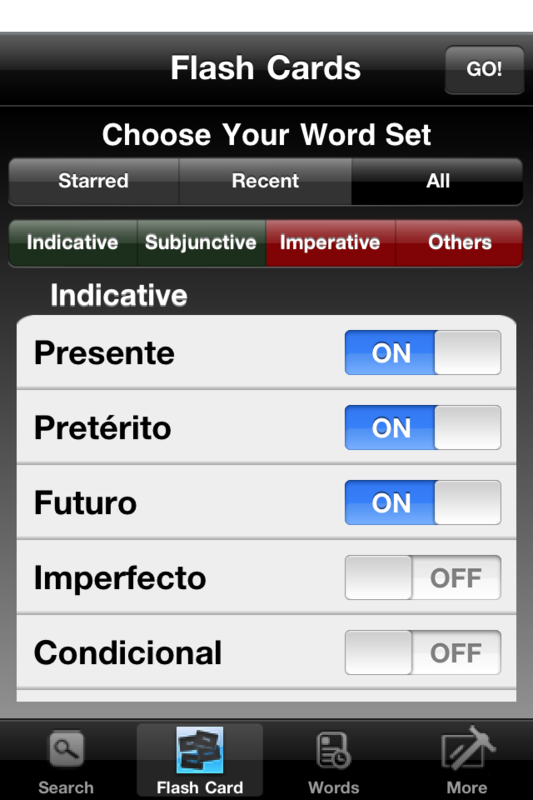 You can choose your word set to narrow your practice. 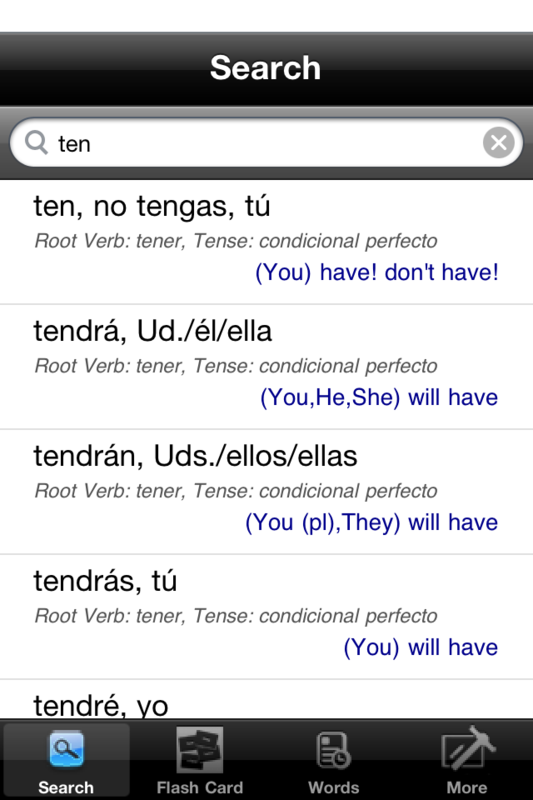 When you select a verb, you are shown all possible conjugations for that verb.